Charity Challenges – How do they work? Make a difference, get involved, change lives. A charity challenge is a sponsored event whereby each supporter of a charity raises a total amount of money to participate in a specific challenge such as, trekking to Everest Base Camp. They are a proven method of raising significant funds for charity. But how effective are they? 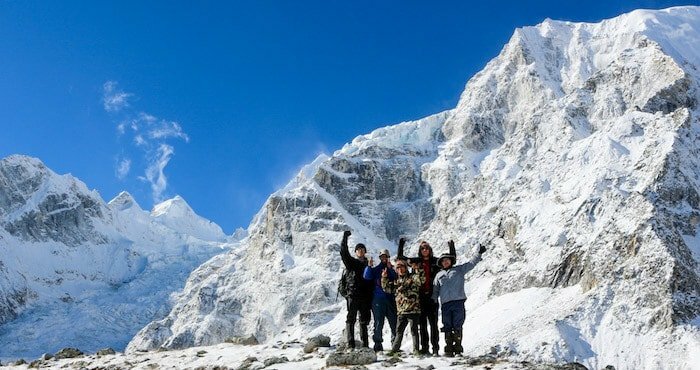 On an upcoming Nepal trekking challenge participants will be raising at least £1600 per person, with 25 participants that’s a minimum of £40,000 that will directly go to the charity! We run our charity challenges for large organisations and single participants alike. For inspiration please see the charity challenges we offer.  Are you Contacting us as an Organisation or an Individual? Get in touch with us to discuss the charity challenge you want to undertake. We’ll answer any questions you have and get you ready for adventure! A per person price quote will be provided to you. To get started we require an estimated number of participants and the date(s) you’re interested in. To reserve the date, all we need is an initial deposit. We can then work with you to find the most suitable payment plans for your challengers. Advertise the challenge! We’ve got plenty of tips to help you with this as well as support you while your challengers are raising sponsorship. 1. Participants pay Lost Earth Adventures for the price of the challenge only and pay your organisation any sponsorship money raised. 2. Participants will pay all sums to your organisation and the organisation will then pay Lost Earth Adventures for the costs of the challenge. You turn up for the challenge and we give you a professional, rewarding and awesome experience! If you are an individual or small group that is concerned that you may not get enough bookings to fill a private event but still want to support a charity of your choice we recommend joining one of our Open Group Events. Open Group Events are challenges that run on set dates throughout the year and anyone can join and raise money for whatever cause they like. You just choose the challenge and the date, pay the fee and turn up. You are responsible for raising and collecting funds and then you simply pass the money on to the charity of your choice. We can supply you with sponsorship forms if you need them. 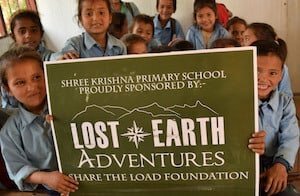 See the dates and read more about our Nepal Treks Open Group Events and our UK Challenges Open Group Events. Be sure it is achievable, we use a grading system for all of our trips. If you need any more information please don’t hesitate to contact our team. 2. How can I fund my Challenge? Self-funded – This means you fund the entire trip yourself. There is an initial deposit and the final balance is due 60 days before you depart. Payment plans are available on request. Sponsorship funded – You pay the initial deposit and then commit to raising a minimum amount of sponsorship money for your chosen charity. The remaining balance for your trip is paid for by the charity with part of your sponsorship fund. You will be asked to complete a pledge form with the charity, this will set out target dates and any guidelines required. Your minimum target must be met and paid to the charity a minimum of 10 weeks prior to departure. Not all charities opt to take part in sponsorship funded challenges. We would always recommend choosing a charity that resonates with you. This will make the initial fundraising more manageable and is guaranteed to keep you motivated when the going gets tough. You could choose a well-known national or international charity. Maybe you want to raise money for a smaller charity close to your heart? Get in touch with your chosen charity to let them know what you are doing, almost all charities provide fundraising packs and support for you along the way. If you choose to apply for sponsorship funding from your chosen charity, you may be required to fill in a charity pledge form. This details the minimum sponsorship the charity requires you to raise in order for them to fund you, and setting out specific deadlines that need to be agreed by both yourself and the charity. Lost Earth Adventures must have a copy of this document. Once we have received a deposit for your UK or overseas Challenge, we will send you confirmation in writing (via email) to confirm your place. Our trips and events are guaranteed to run, with no cancellations on our end. We do not have a minimum number of participants per challenge and therefore every trip will go ahead. Are you interested in our Nepal Charity Challenges? Are you interested in our UK Charity Challenges? Would you like to go back to our Charity Challenges main page?